Theirs is like a movie script - from the heart-wrenching story of a betting scandal which saw their former captain and 16 others involved arrested just before Christmas, to the very painful six point deduction penalized them preseason for said betting scandal, and where do they fall? Eleventh in the table, to be exact, with 6 wins, 8 draws, and only 2 losses. Meaning that without the scandal, they would be tied for 5th place. How could a newly promoted side be doing so well? Well it’s not the first time a team has been galvanized by a match fixing scandal. One only needs to think back to 2006 when Italy won the World Cup in the midst of scandal and turmoil. Of course they had quality, but they were the underdogs. And if there’s one thing I’ve learned about sports, underdogs rarely go down without a fight. 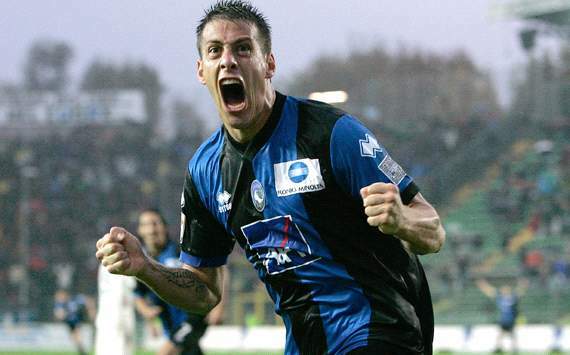 Atalanta ended the calendar year with a convincing 4-1 victory against Cesena. Their only losses this year were both away matches, to Roma and Bologna. Since we are traveling to their house, we can expect an even tougher fight. Colantuono lined up Consigli; Manfredini, Ferri, Peluso, Masiello; Carmona, Cigarini, Bonaventura, Pinto; Denis and Marilungo for the Cesena match, with goals coming from Denis & Peluso, and a brace from Marilungo. As a matter of fact, Denis is the league’s top scorer right now with 12 goals. Yes, the former Udinese & Napoli man is actually a goal ahead of Ibra. 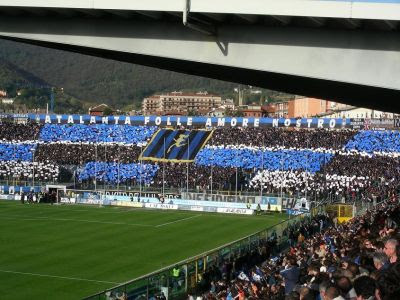 I certainly don’t think we should make the mistake of traveling to Bergamo expecting an easy 3 points. "I've got one more goal than Ibra!" Milan, on the other hand are coming back from warm weather training in Dubai, including having played the friendly vs. PSG on Wednesday. 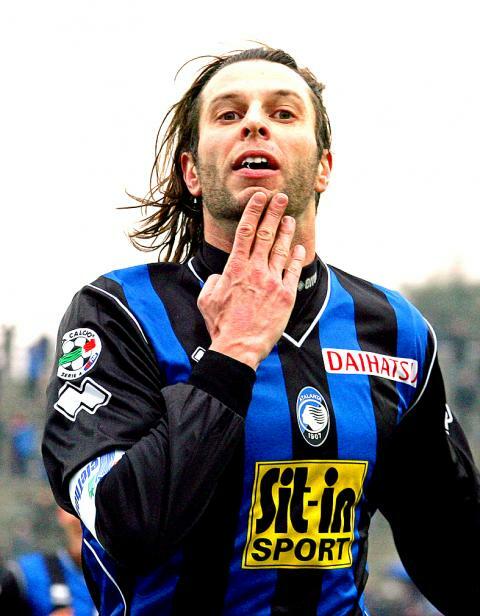 In addition to Cassano, Yepes, and Flamini, who are all out with long-term issues, Ambrosini is suspended for card accumulation. We also have Nesta, Aquilani, and Antonini all one card away from suspension, so they will need to be very careful if they play, especially considering the tantalizing derby next week. Boateng & Abate - if they can't play, at least they'll have Dubai. 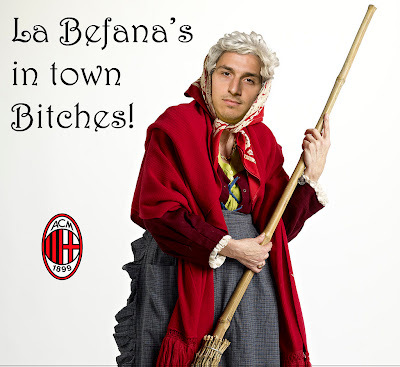 Also in doubt are Flavio Roma, Clarence Seedorf, Ignazio Abate, and Kevin Prince Boateng. All four were not called up for the friendly on Wednesday as a precaution, but I’ve heard rumors that Abate and possibly Boateng may not be available for Sunday. While the derby is a full week away, I would expect Allegri to be careful not to play injury prone players, so my best guess (and I’m really bad at this guessing business!) is Abbiati; Bonera, Mexes, Silva, Taiwo; Aquilani, van Bommel, Nocerino, Robinho behind the strikers, Ibra and Pato up front. Again, that is without the players we missed on Wednesday. I am also hoping we go up early and hold the lead well to get some subs on for this one, such as El Shaarawy, with a decent amount of time.